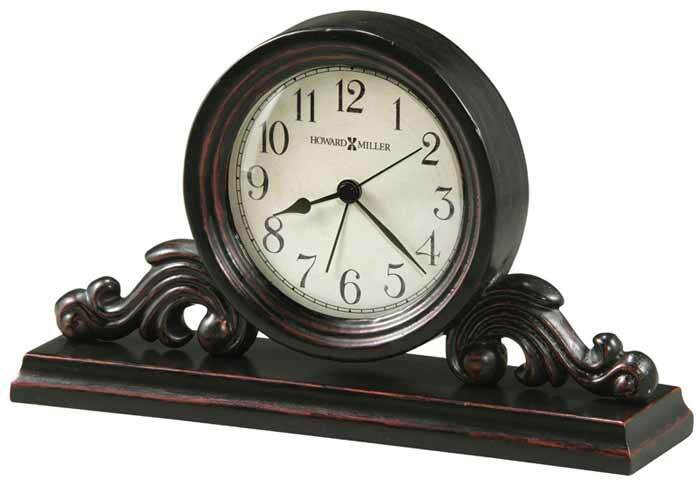 This decorative Worn Black metal and wood antique style alarm clock with worn red undertones. An aged, oversized off-white dial and has aged black Arabic numerals and black hands beneath a curved convex glass crystal. 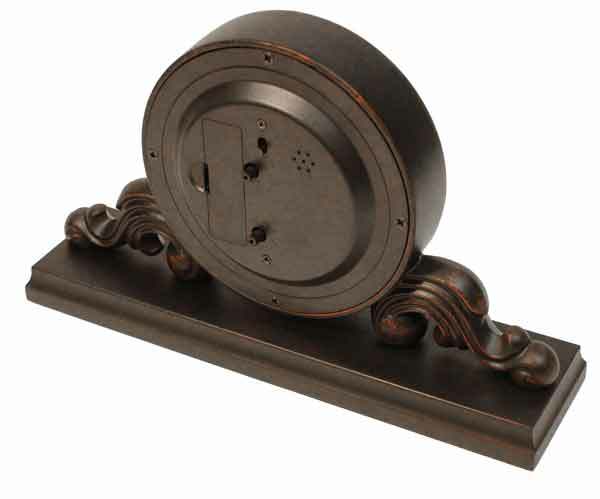 Solid metal decorative dial supports. Felt bottom protects your desktop or table. Finished in Worn Black on select materials, hardwoods and veneers. Accurate Quartz, ascending alarm movement starts at a lower volume and increases in 4 steps. Powered by one "AA" battery which is included. Clocks for sale at The Clock Depot including the 645-653 at discount prices.